FFT 3010 is a fully FFT digital EMI Receivers for measurement of conducted electromagnetic interference from 9 kHz to 30MHz. Compact designed and manufactured compliant to CISPR 16 International Standard, using FFT Scan Mode for fast measurements of conducted electromagnetic interference in accordance with requirements of EMI International, European and Product standards, pre-selectors and advanced software for EMC testing. 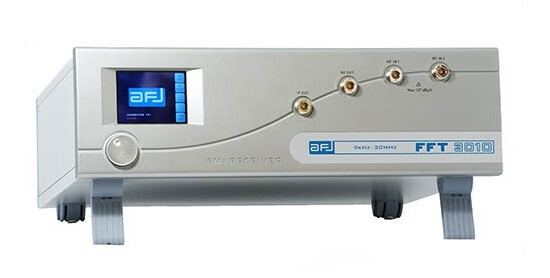 Based on a PC integrated architecture with WINDOWS 7 Embedded OS, FFT 3010 EMI Receivers are ready to operate with advanced software for EMC testing, fitted with pre-selectors that allow excellent dynamic range and precise conducted emission measurements covering the frequency range from 9kHz to 30MHz. Remote control with an external PC is also possible. 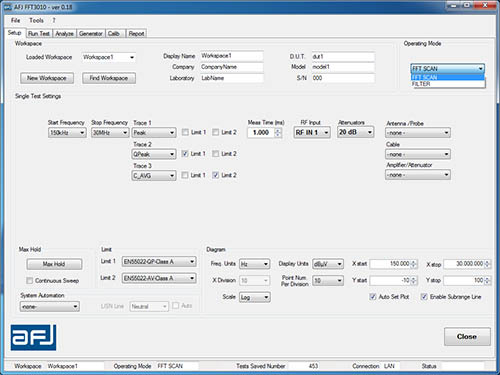 Software enables the operator to set all parameters and set-up FFT 3010 EMI Receivers as requested by CISPR 16-1-1 or to tailor it according to his specific needs.